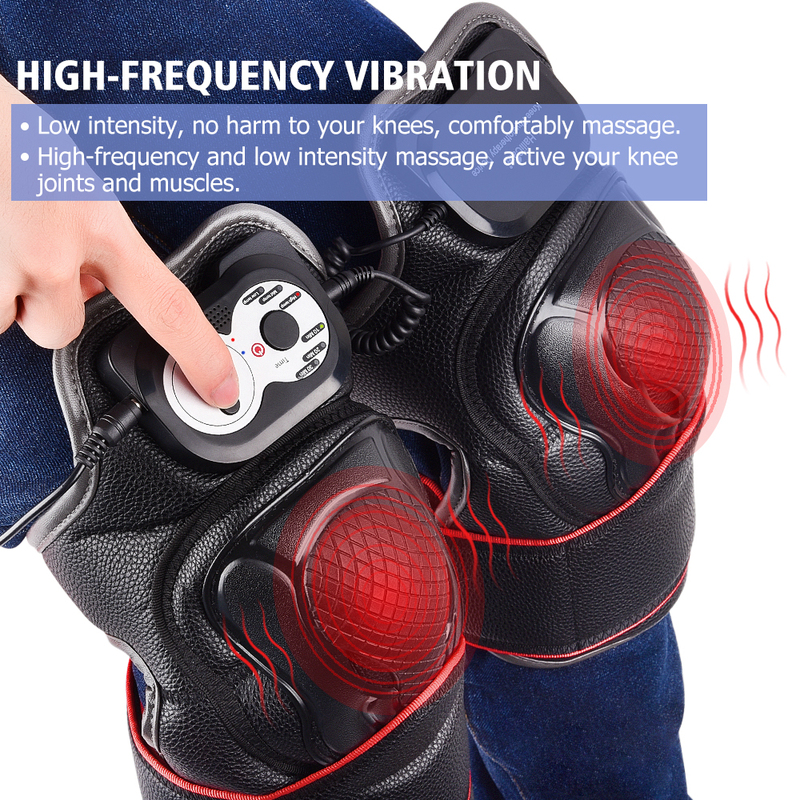 Feel sense of pain during walking on stairs or moving the joint ? Extreme pain at the joint during climate change or cloudy weather (at low pressure) ? Frequent sense of discomfort at the joint or lack of flexibility ? 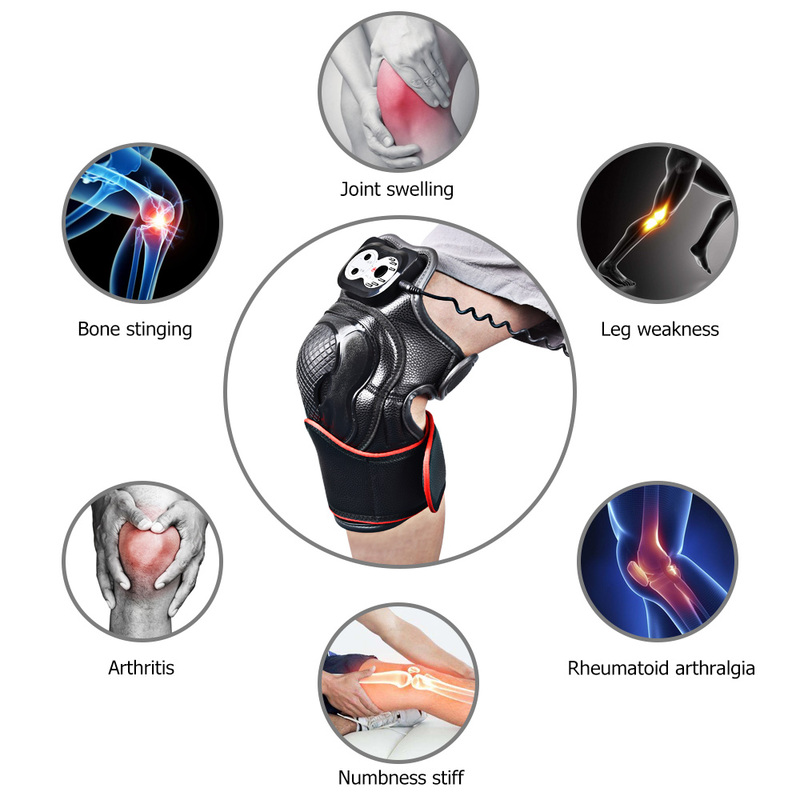 Joint swelling or rigidity in the afternoon or night after body movement ? 2. 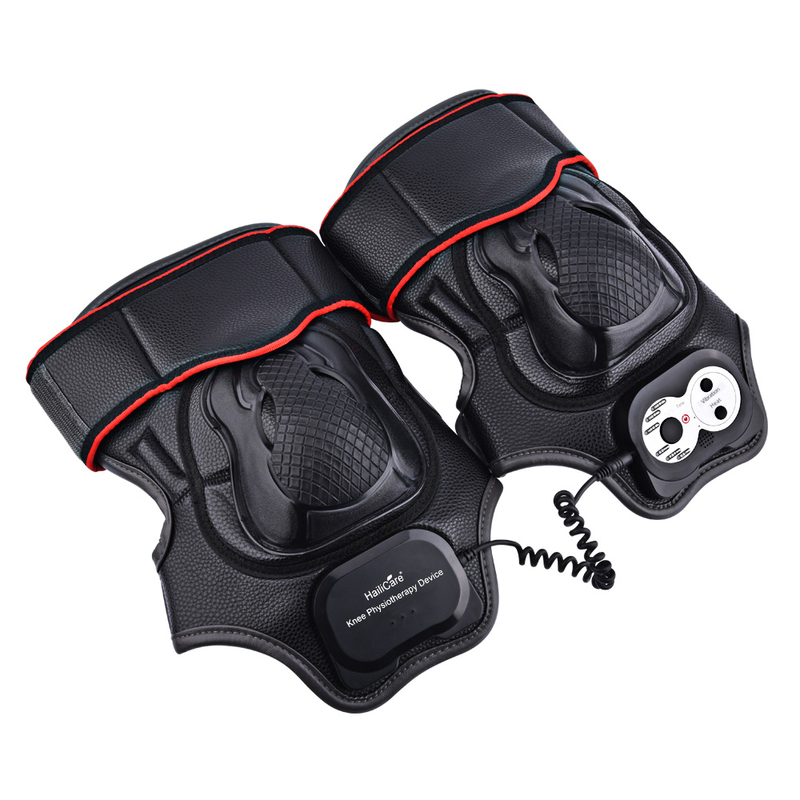 Fixed-point therapy - Sports knee pads, firmly fixed on the knee, keep the heat over your knee. 3. 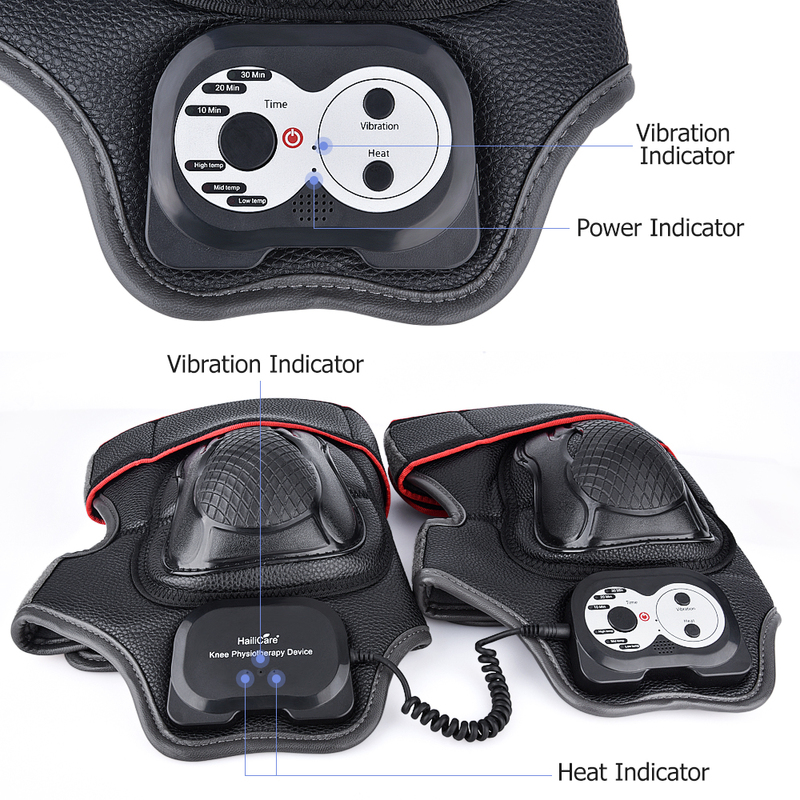 Massage - Built-in motor vibration massager, stretching tension physique and muscles. 4. Asiatic wormwood physiotherapy - warming and activating meridian, promoting "qi" to activate blood, clearing heat for detumescence and antibacterial. 6. Timing - 10 minutes, 20 minutes, 30 minutes. 7. Temperature regulation - There are High/Middle/Low temperature third modes can be changed. 8. 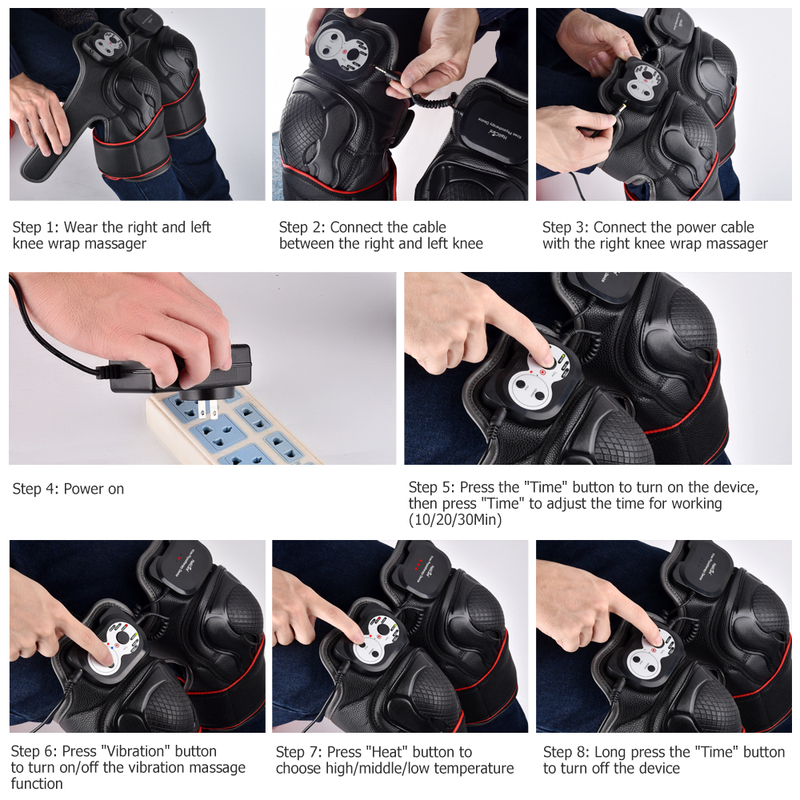 Smart Design - can only use on one knee, you can also use only vibration or heat. 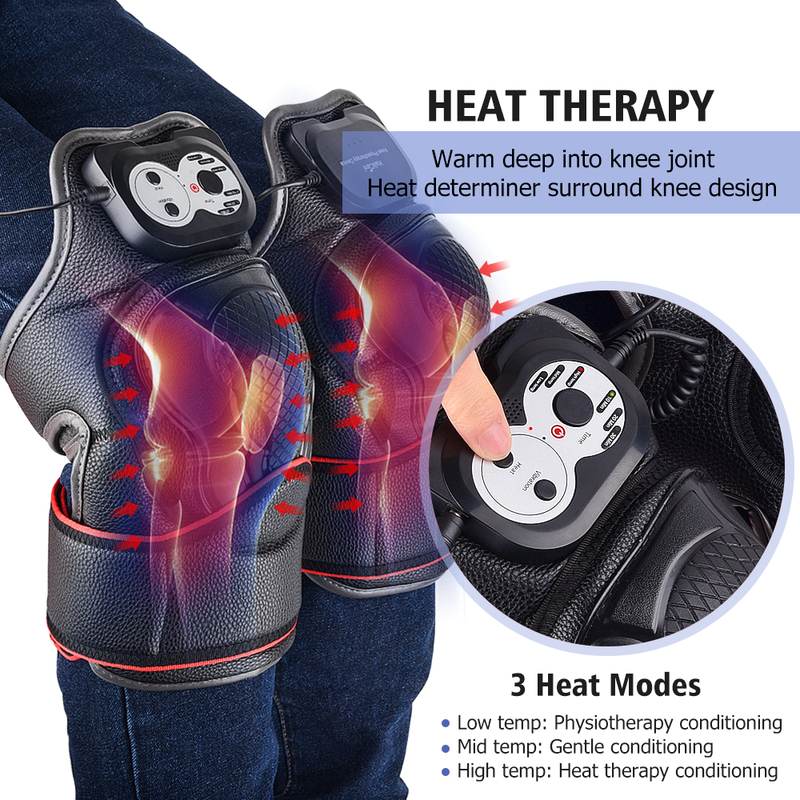 Note: Knee pads will automatically select the high heat mode, and automatic timing 10 minutes, according to the need to switch. 1. Massage time can not be too long, recommended 30mins, but if you feel uncomfortable pls decrease the time of therapy. 2. 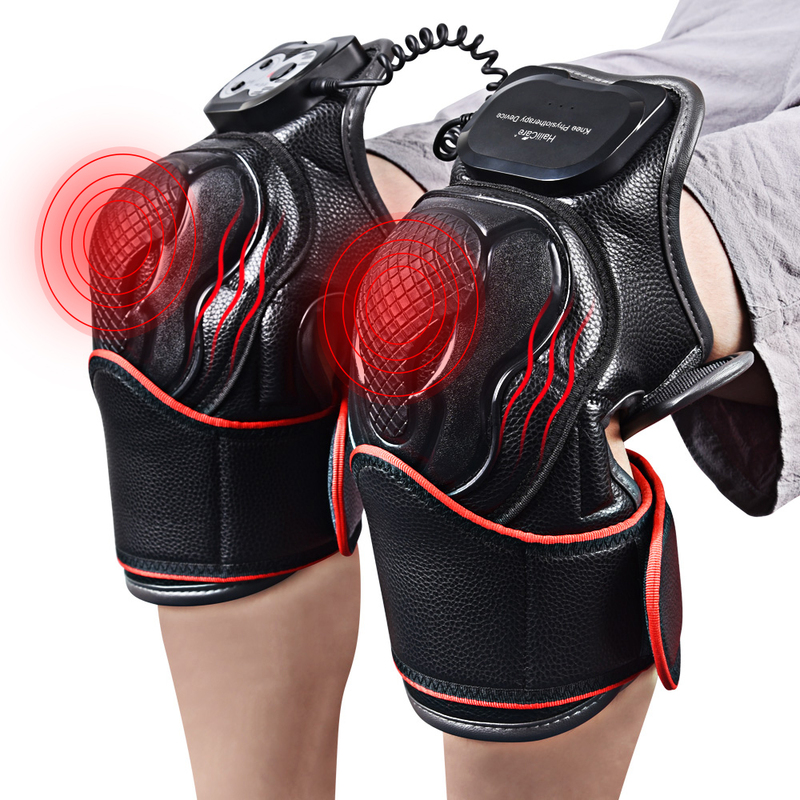 It\'s best to use over clothes,do not use directly touch your skin, in order to avoid low temperature scald. 3. Please choose heat temperature according to the needs and local temperature. 1. 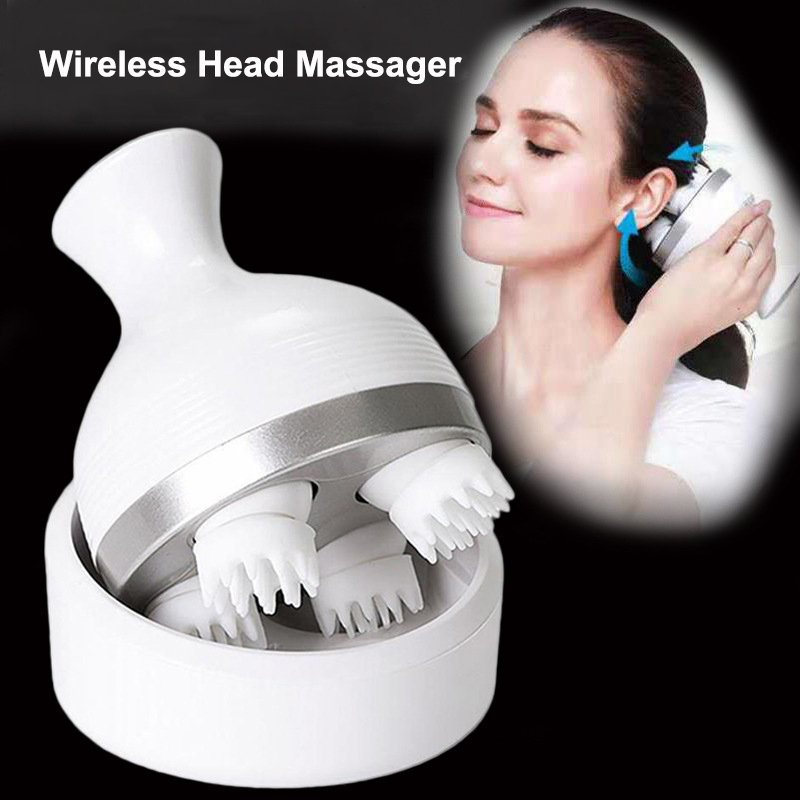 If you has any questions for us and our products, welcome to contact us and leave message. 2. After received your order, we will send the package out within 72 hours asap. 3. If you want more quantity, please contact us, a good price is only for you. 4. 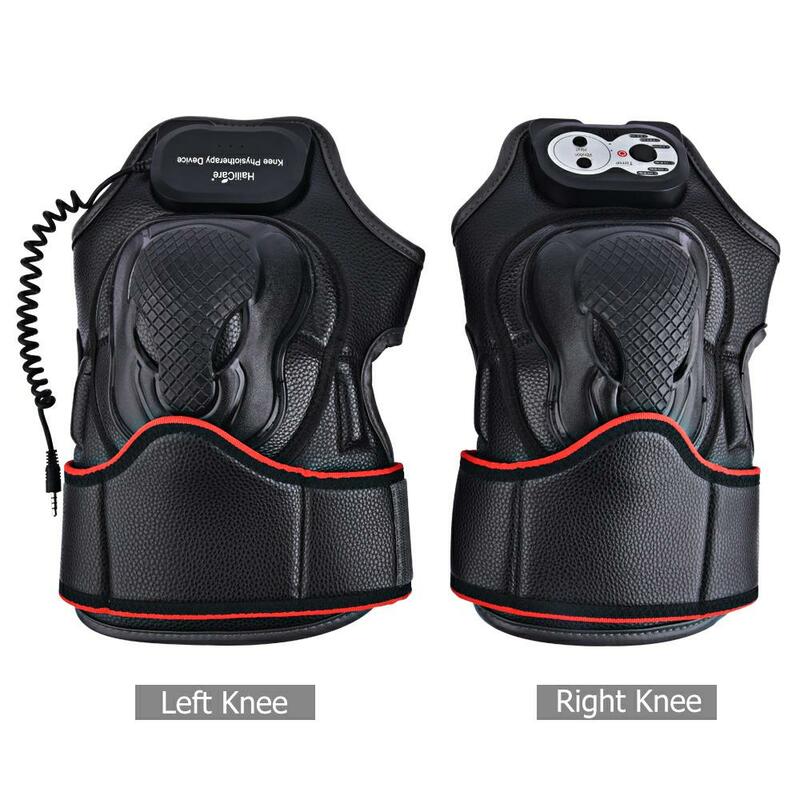 Please give me a good feedback if you are satisfied with our products and our service, very appreciated. 1. 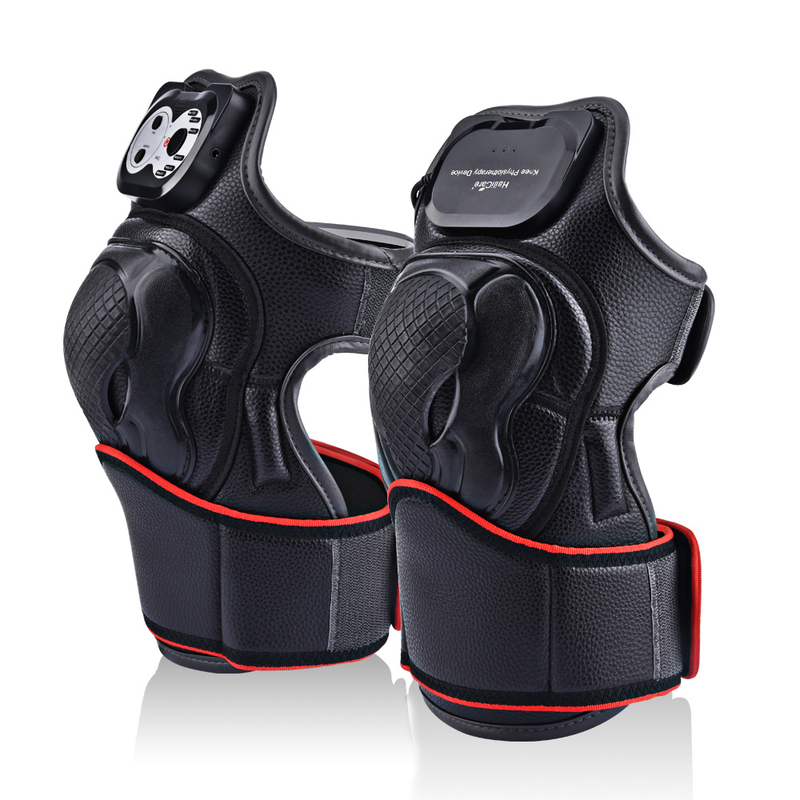 You can choose the suitable shipping way so the package can arrive your address asap. 2. For different shipping way, it need different shipping time, please kindly understand. 1. We are try to provide good service for you. 2. If you want to return the products, please contact us first, a good solution for you. 3. If you do not want the product after paid, please contact us before shipping.